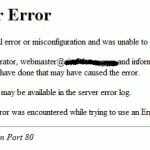 How to Fix Unable to Create Directory Errors in WordPress – If you are seeing the unable to create directory errors then you need to fix it as soon as possible. There could be a number of reasons for this kind of errors to show up. Fixing process is extremely easy if you follow the right steps. 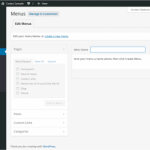 So here we will discuss on how to fix unable to create directory errors in WordPress. These type of errors can be annoying at times. Also, they can damage the reputation of your website. 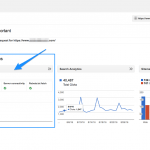 Traffic, rankings can fall due to these errors. 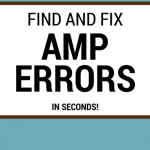 Therefore, it is important to fix these errors as fast as you can. This is an easy step and you will need to put the right effort at the right time. There are many tips you can implement in order to fix unable to create a directory in WordPress. There could be any reason for these errors to come. To save you from the effort we have brought you some of the best methods you can choose to fix this type of error. This is one of the easiest methods to solve this problem. Below mentioned are the steps you can follow to update the upload directory settings. Log in to the WordPress admin dashboard. Then go to media settings menu. Enter WP content in the store uploads in this folder. Save the changes with saving changes button and you are done with it. If the above-mentioned method does not help in solving the issue then this will definitely work out. For this step, you need to change the file permission on your server. If you do not know how to change the settings then below listed are the easy steps for you to follow. Change folder permissions on the wp-content directory to 775 and try the upload again. If it fails then try again with putting 777. If it still fails then do the above steps with wp content/upload again. After this, make sure your return to the previous settings. If the above-mentioned methods did not work out for you. So here we have brought some other methods that can help you to deal with this annoying problem. Scroll down to check them out and implement to get the best results. If the default web server is ubuntu then there might be chances that it is not able to write changes to it. Therefore, change the file system permission on the folder to the parent directory as mentioned in the error message. Thus, you will be able to fix the error in less time without any trouble. If your server is running in the PHP mode then it will not allow you to create files or directories if they belong to different users. So to avoid this situation you can change the owner of the scripts and upload directories. And also you can disable the PHP safe mode. Both are very easy options to choose from and easily get rid of this error. Also, if you have XAMPP installed in your WordPress account and you are seeing this error message. Then, you will be needing to change some settings to get rid of the error message. You need to reset the ownership of the WordPress installation to nobody. The command that you will need to run has to be changed from WP to the actual name in the installation. This error can be very irritating and annoying to not only users but to the owners too. They can damage the reputation of your blog. 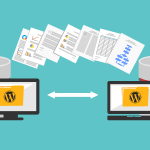 So to get rid of unable to create directory errors in WordPress you need to follow the above- mentioned steps to get the best results and performance.